It is increasingly important to curate your author brand. Establishing a loyal fan base not only helps you connect to your audience but can also improve your publishing prospects. A writer’s first step in building their brand should be creating an attractive, user-friendly website. Here are some tips on how to ensure that your website promotes your author brand in a professional and engaging way. If you are trying to get noticed then it is important that your reader is able to feel a connection with you as an author. A bit of personality goes a long way, whether it be your personal opinions or an account of your daily experiences. If an audience can relate to you then they are more likely to engage. One of the easiest ways to incorporate personality into your website is through the use of an author bio; just a few lines about you and a picture of yourself. Personality doesn’t have to come from writing… add a few images, maybe choose a theme or colour-scheme that suits your personality and writing. It may sound simple, but ensuring you use a font that is readable is essential to getting information across. Font hierarchy is an important factor in the navigation of your website. Using a bigger font for important sections of text will attract readers to engage with those first, while smaller fonts will denote that the information is not as significant. Through this, you can prioritise your content and influence how your audience interacts with it. Social media is a useful tool for writers to build a fan base. As well as giving regular updates on your writing, you can interact with others who may give advice on or support your work. Social media can help you reach new audiences and keep track of the book industry. This medium can also be a great way to interact and build relationships with publishers and influencers. The main social media channels that your website should include are Twitter, Facebook and Instagram. Make sure to link your website to these accounts to give you a higher SEO ranking. So, what is an SEO ranking? Search Engine Optimisation (SEO) influences the ranking of a website in search engine results. The higher the website is listed, the more likely it is to get frequent traffic. SEO encompasses several different aspects of a website, from using keywords that will make your website easy to find, to linking in other websites. Although the focus of your website will likely be your writing, it’s good to break up those lines of text with some images. By adding a few carefully selected images that relate to yourself or the topic of your writing, you are providing the audience with a visual interpretation of who you are and what you have to say. Things to note…beware of copyright law! Before you use an image check if you have permission to use it. Giving credit is not always enough! if it is taken from the internet then make sure that you have accessed the image from a website which hosts copyright-free images. Some examples are Pixabay and Unsplash. if you have taken the photo then make sure that the content of the picture doesn’t breach copyright law. For example, if you take a photograph in which there is a work of art in the composition then you will need permission from the artist or copyright holder to ensure you aren’t breaching copyright law. Other works that have copyright protection include: advertisements, motion pictures and literary works (and many more) so be sure to request permission if featuring these in your images. If you have already been published then it is important to link your website to any pages which showcase your work. This will make it quicker for your audience to find your work and improve your SEO ranking. You can add any relevant reviews and encourage readers to make purchases by including links to both online and offline retailers. Consistent updates are imperative if you want to keep your readers engaged. Without a steady stream of new material, your audience is likely to lose interest. 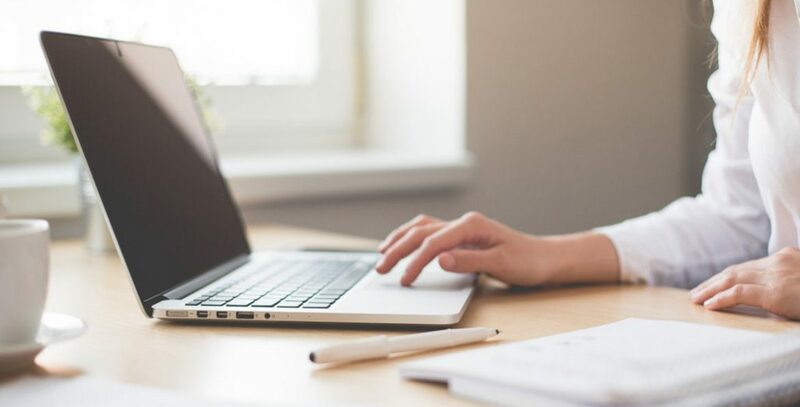 You don’t have to write a new novel every day, but brief bits of personal news or snippets of writing will encourage your audience to keep returning to your website. Every time you alter your website, whether it be adding/removing content, changing the theme or adding in links, make sure you check that the website still functions the way you want it to. Review website navigation – you want to make sure that the readers can easily click between different posts and pages, and that any links you might add take them to the desired location. If you have linked to other webpages it is good practice to occasionally check that these links still work. Check the display, make sure images and text are clearly visible, you don’t want anything to look out of focus or blurry. Explore your website on different platforms/devices. Just because the website looks correct on a computer screen doesn’t mean you will be happy with how it looks on a smartphone or tablet.